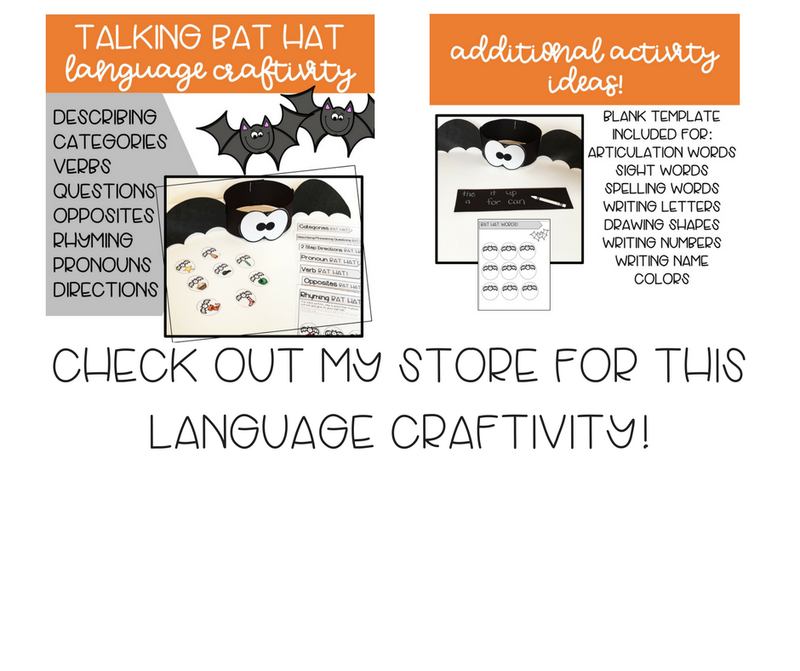 Talking Bat Hat Language Craft! 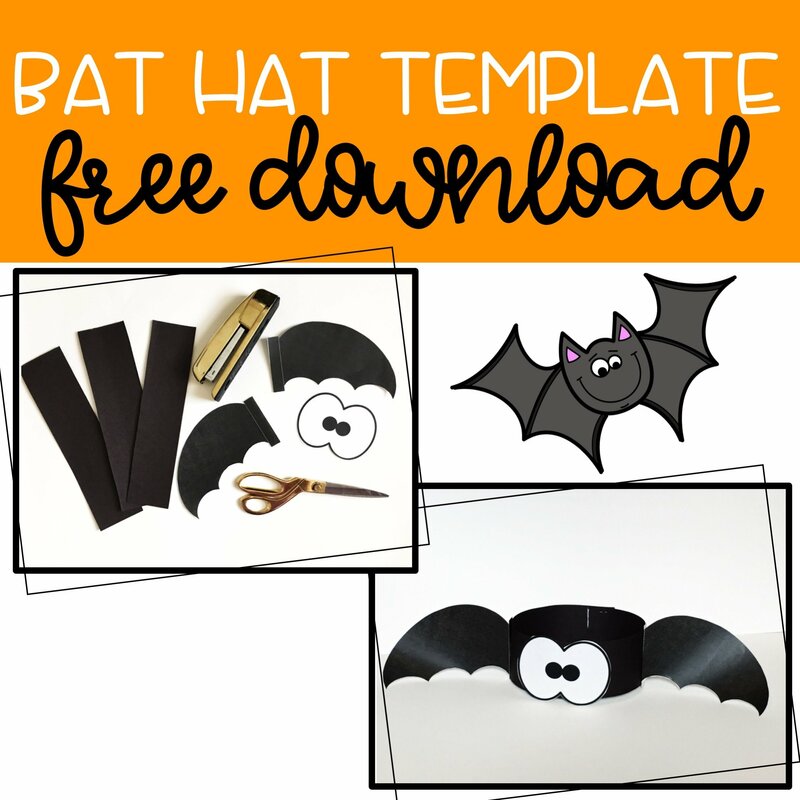 I have created a super easy template that you can download to make this fun little bat hat! 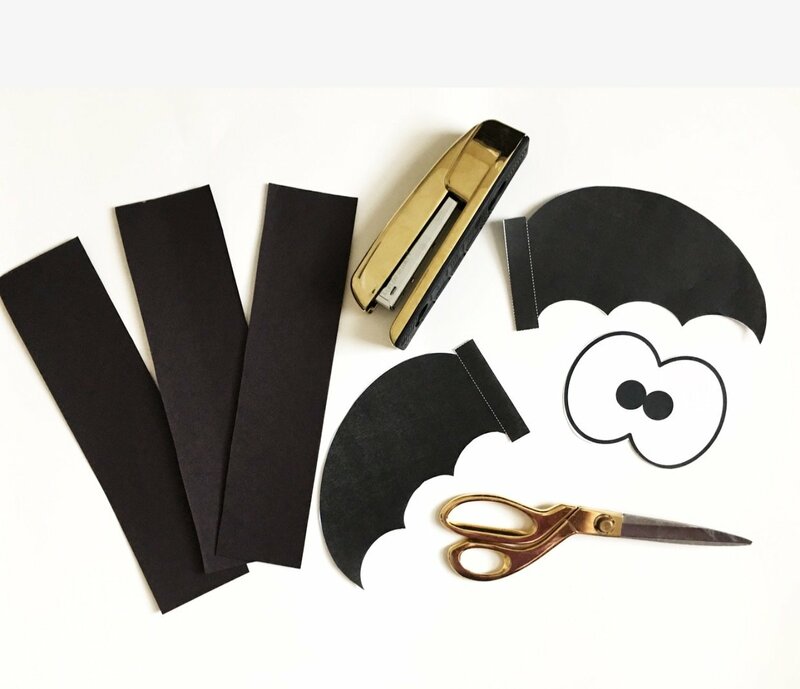 While prepping the materials I used the opportunity to talk about how the color of the paper was black because that is the color of bats. We talked about how they fly at night and sleep upside down…. which then ended up in a you tube search…. and then getting completely side tracked. So maybe just skip that part! Once the 3 pieces of construction paper strips were cut, I used the FREE TEMPLATE for the wings and eyes. Whenever making any type of craft always remember how important it is just talk, talk, talk. This is a huge opportunity to discuss different verbs such as: cutting, taping, stapling, etc. It will feel weird to just narrate your every movement, but I can promise they are soaking in all of that language. Once the bat hat pieces were assembled together, she absolutely loved how silly she looked! We practiced making happy, sad, mad, surprised, scared, etc faces. Next step was attaching fun picture prompts. Since she is only two we decided to work on colors. We colored each circle and taped it to the wings! 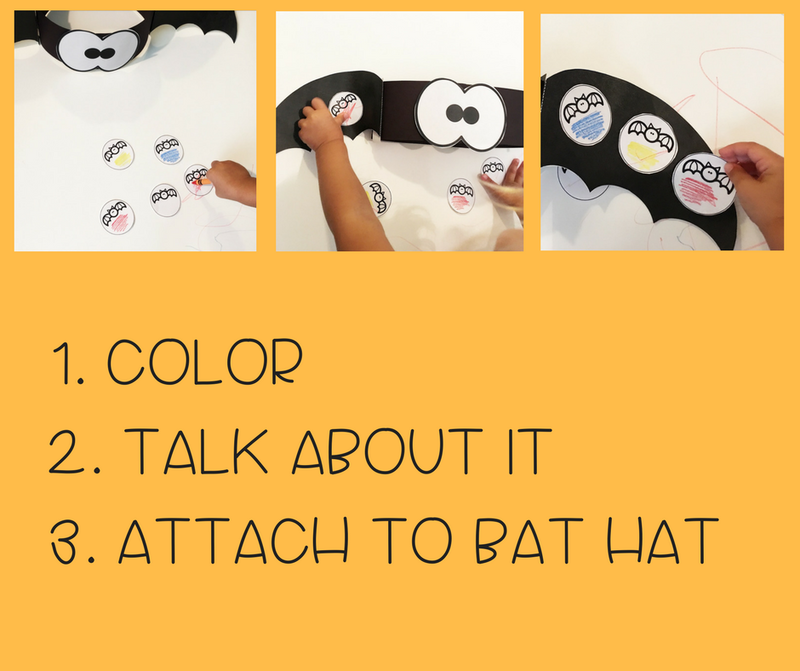 This bat hat can also be used to focus MANY speech and language goals! 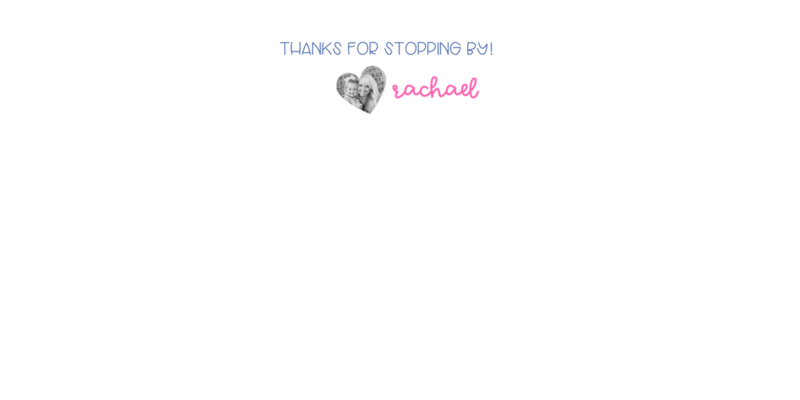 I have created a packet full of picture prompts targeting the following speech and language goals: describing, answering questions, verbs, pronouns, rhyming, opposites, following directions, categories and a blank template that can be used for so many open ended goals. 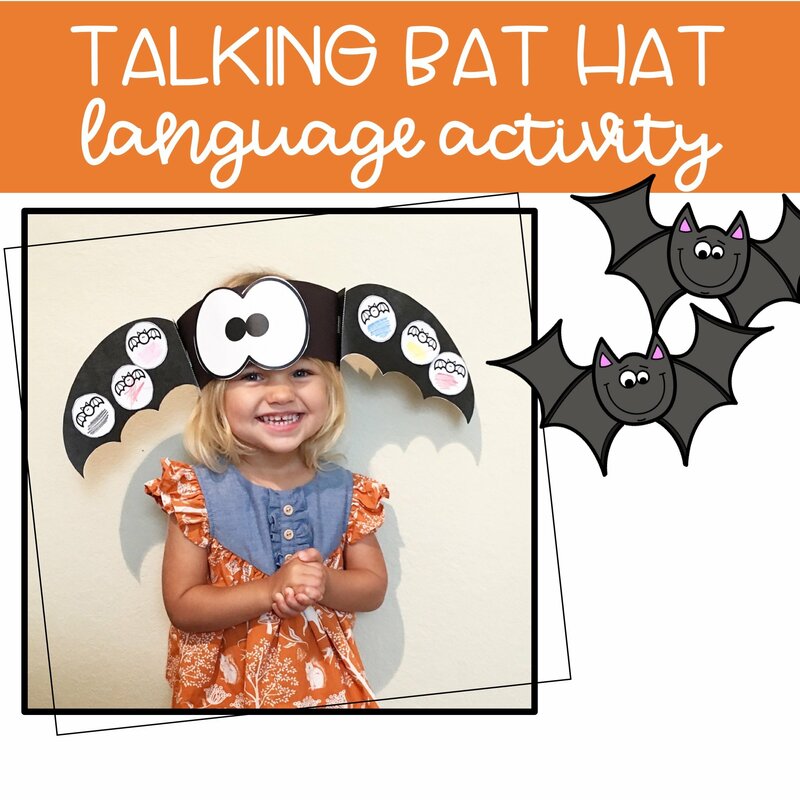 I hope you enjoy this talking bat hat as much as we have! 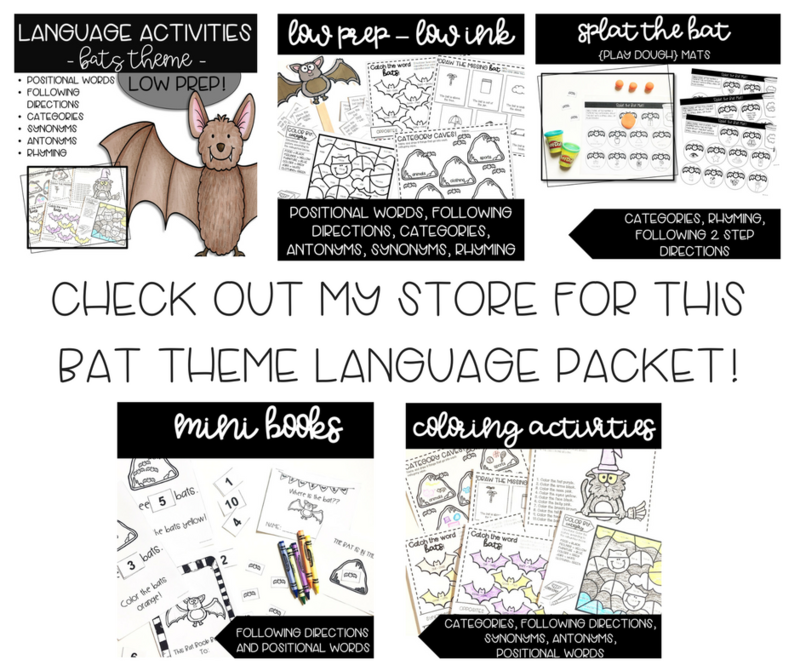 Interested in more bat activities to target speech and language goals? Check out this activity!